Studded. Plain. Sequined. Round. Pointed. Contrast. If you play a game of word association with anyone remotely interested in fashion this season, the word that’s most likely to follow all of these is collar. This season, the humble collar has been given Statement status, becoming the focal point for many an outfit. One of the greatest ambassadors for the collar is Carven. 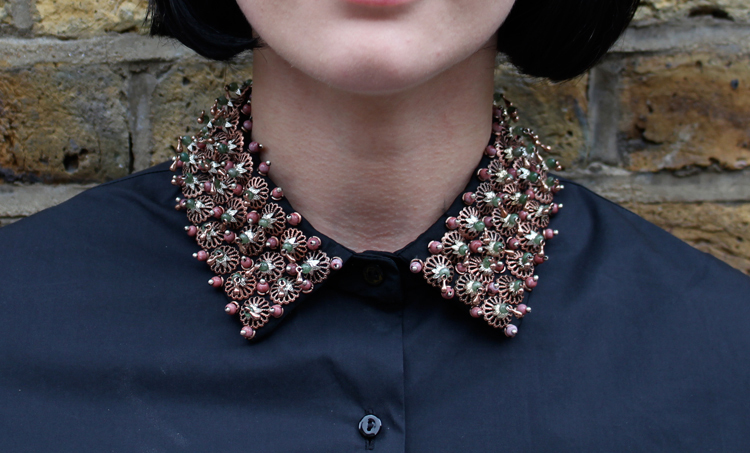 Two years ago the brand included a silk peter pan collar in the AW10 collection, and it sold out everywhere within days. The success of this collar did not go unnoticed by Carven, and since then they have designed different styles, embellished shirt collars and added micro white cotton collars to wool dresses and tops alike. It’s these quirky details that have earned Carven a cult celebrity following, including 3 time winner of the British Fashion Awards ‘Style Icon’ gong, Alexa Chung. Carven is not the only champion of the collar. For PRE SS13 Equipment have added gold tips to a black silk shirt, infusing a classic day piece with a touch of rock n’ roll edge. 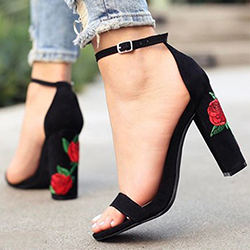 On the high-street you can find similar designs at Zara. The collar doesn’t have to be embellished to be the focus. There’s a growing trend for a contrast collar on a plain cotton shirt. Again, this is Carven territory, but Mr. Start Woman has also included a contrast collar shirt in the brands first ever collection. Collars play a big part in the Mr. Start Woman Collection A. Mr. Start has built an entire shirt collection based on different collar sizes, so it’s only natural that the female counterpart, Mr. Start Woman, places the same emphasis on the collar. As part of Collection A, the Mr. Start Woman shirts exhibits two different point collar sizes – the fashion collar and the slightly larger sixties collar, a round collar and a contrast collar. But the stand out pieces are probably the 3 collars: Astrid, Abby and Amber. The Astrid, a sequin and crystal embellished point collar with a grosgrain ribbon and button fastening, is a great way to dress up a simple sweater this festive season, taking you from work to party in one fell swoop. The Amber white cotton point collar, as featured in Grazia, and the Abby white round collar can be worn poking out of your favourite knitwear pieces, creating a cute, preppy look without the bulkiness of wearing a full shirt. As we know, Alexa Chung is a big fan of the embellished collars, but she isn’t the only stylish celebrity that has been spotted sporting a statement collar. Sartorially adept actresses Natalie Portman, Hailee Steinfeld and Emma Watson all channel the trend with aplomb. 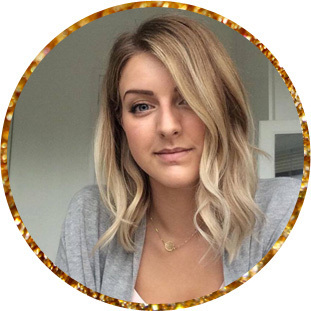 Author Bio: Charlotte Rivington is a freelance writer and enjoys writing about fashion and sharing her experiences as she travels through the depths of the world, exposing her adventures whilst in search for her clothing. She is currently in love with boutiques in London.